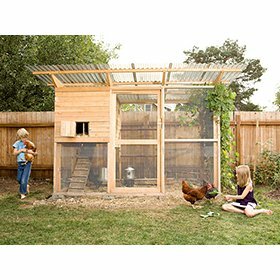 Build this attractive little coop for under $200! 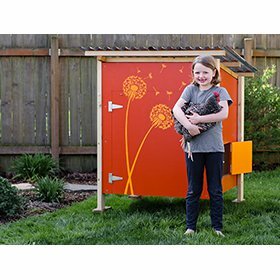 The Basic Coop chicken coop plans show you how to transform a couple sheets of plywood, a few boards, some hardware, a roofing panel, and some paint into a secure, beautiful home for your backyard flock. 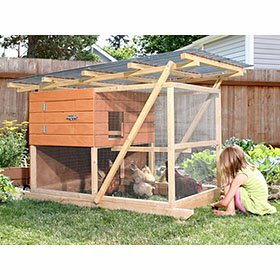 Use it first as a brooder for chicks, then as a stand-alone coop for a free-ranging flock — or attach a run. 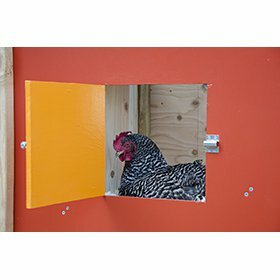 It's the starter coop you can easily grow with. 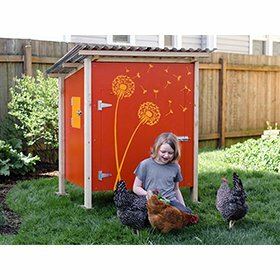 The Basic Coop is sized for 4 hens and measures about 3'w x 3'd x 4'h with 9 sq. ft. of floor space and 48" of roost space. 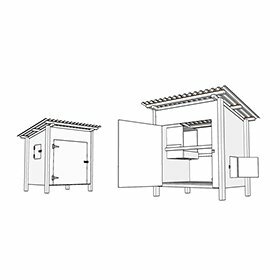 Cuts and assembly are straightforward and require only basic tools and materials. Fully paintable all around, so you can express your style! 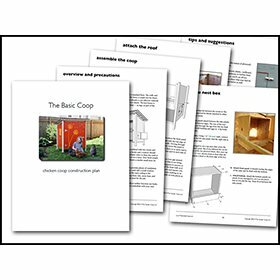 This highly detailed plan comes as a downloadable 45+ page, full-color PDF, written for beginners. 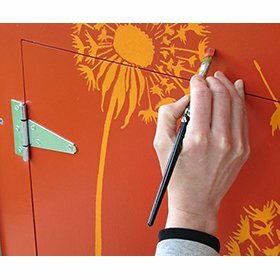 Tools and materials, measurements, cuts, techniques — everything's spelled out with clear writing and dozens of illustrations, pictures, and tips. Both imperial (feet/inches) and metric (mm) measurements are included. As with all of his plans, you get email support from the designer should you need it. 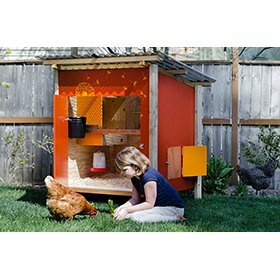 Keep in mind this is a stand-alone coop, so you'll need to let your chickens out in the morning and close them back in at night. 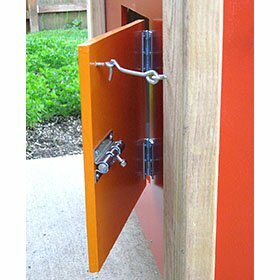 You can also attach an automatic door or an enclosed run (not included).